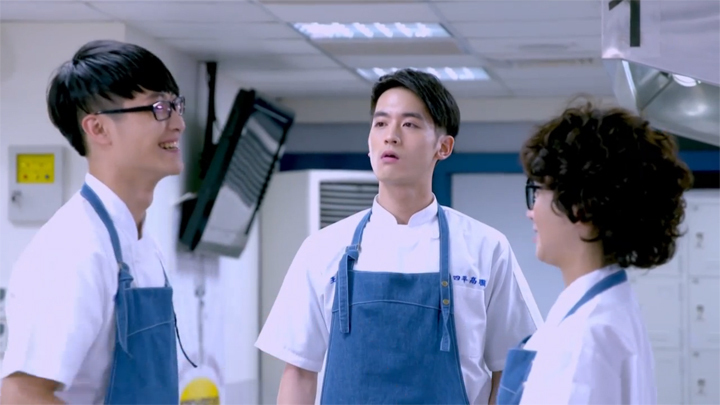 Fang Xiao Rou has a stalker following her; Wang Mai Zhi and Wei Qi Zhen are through to the next round of selection process for the national high school cooking competition; and Wen Zhen Yu leaves for Europe to apply for the chance to become Executive Chef of Olives House. An unknown individual with some connection to Han Jie is secretly following Fang Xiao Rou. This unknown individual is told to be part of a desserts community Fang Xiao Rou has joined and has anonymously made contact with Fang Xiao Rou via phone. They will meet soon, he says over the phone and warns her to be careful not to fall in love with him. He has also requested to connect via her social network profile and communication app. A bit more information on this individual is provided in a library scene where Han Jie receives a message from this individual. The messages reveal that Han Jie and this unknown individual have not been in contact for the past few years and he may possibly be a part of the national high school cooking competition as he warns Han Jie to be careful not to be eliminated. And with Han Jie shutting down his laptop immediately when Fang Xiao Rou enters asking Han Jie what was wrong, this individual seems to be someone Han Jie strongly does not wish Fang Xiao Rou to be acquainted with. Out of sight and in the shadows, this unknown individual continues to to follow Fang Xiao Rou around at her home and around town. 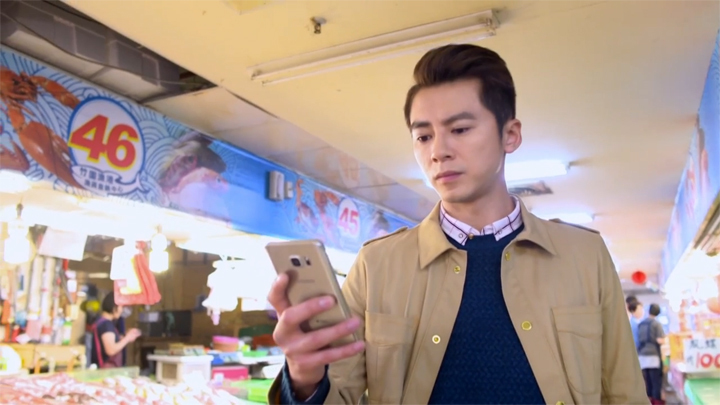 He is present at Fang Xiao Rou’s casual afternoon outing with Han Jie and Fang Xiao Rou gets notified about a photo from him of her bag of pearl milk teas on the counter from a distance. The strangeness of the situation gets dismissed and attention diverted when Jiang Pei Ying’s reply to Fang Xiao Rou’s message asking what she wanted for dinner comes in. It is a series of photos capturing Fang Xiao Rou and Han Jie moving about around town that Fang Xiao Rou gets notified about. Fang Xiao Rou lets Han Jie know of these of photos she’s been notified about at the end of their outing outside her door when Han Jie expresses worry over Fang Xiao Rou having not enjoyed her afternoon with him after expressing he has noticed she’s been preoccupied with her phone the entire time. These pictures don’t alarm Fang Xiao Rou at all; it only causes her to wonder how coincidental this member of the dessert community she joined was at all the places she was at. Han Jie doesn’t show concern over this individual when still in Fang Xiao Rou’s presence. However, after saying good night to Fang Xiao Rou and seeing her safely head into her house, he seems agitated. 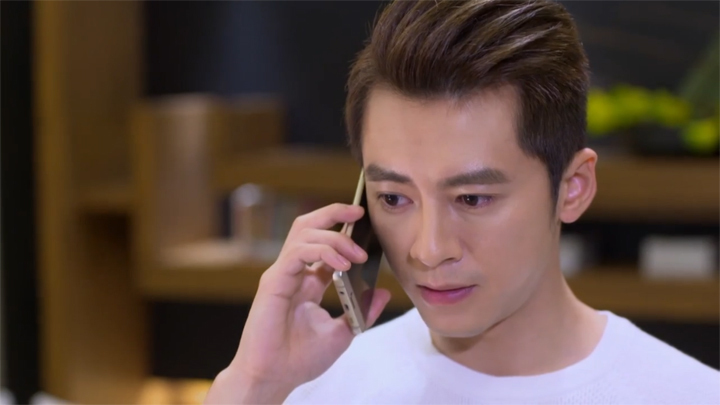 Han Jie immediately calls this unknown individual and tells him he is aware of the game he’s playing and sternly warns him to leave Fang Xiao Rou alone and only direct his game towards him. This individual doesn’t listen. He again appears in the shadows when Fang Xiao Rou takes the trash out at night whilst in a conversation on the phone with Han Jie. Fang Xiao Rou feels his presence. She turns behind and looks up a small flight of stairs. She catches a glimpse of the appearance of this individual whilst this individual quickly dashes away from further sight—a male in dark clothing and black cap. Fang Xiao Rou isn’t alarmed or concerned, only curious whether it is Han Jie in the vicinity being sneaky. “I’m at home. Why?” Han Jie says, not showing any hint of concern at this moment. Han Jie becomes concerned when Fang Xiao Rou tells him she’s feeling someone around her. In a calm, but firm tone, Han Jie tells Fang Xiao Rou to quickly head back inside as soon as she finishes doing what she needs to do and instructs her to keep the line active until she reaches inside her place and in her bedroom. A minute and a half it should take from her current location of the kerbside refuse collection area to her house, he says. Fang Xiao Rou spends a moment more remaining where she is, expressing her amazement towards Han Jie’s knowledge of the distance between the two locations and hearing Han Jie telling her being the perfect boyfriend is tiring before she begins making her way back into her house after Han Jie hurries her along. As Fang Xiao Rou heads into her door, the unknown individual comes out of hiding, tapping his phone with his finger as he looks on. Han Jie finally comes face to face with this individual at a trip at the seafood market with Fang Xiao Rou. The lead up to this event comes from the individual reminding Han Jie he is watching Fang Xiao Rou with sending pictures he has previously taken of Fang Xiao Rou to his phone. Han Jie inspects the vicinity with furrowed brows, looking for him. Han Jie finds no one suspicious. 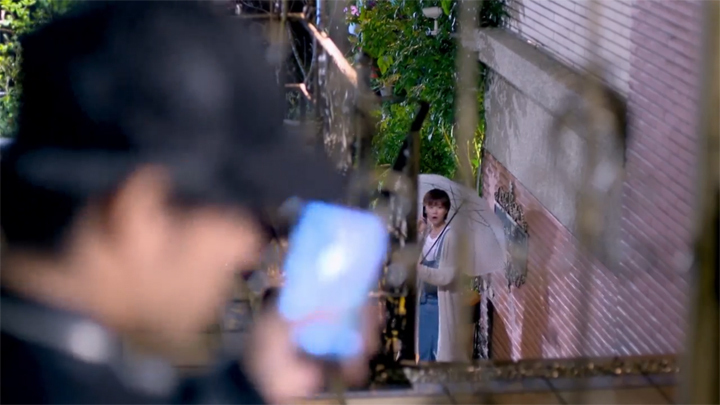 The individual indicates to Han Jie he is in the vicinity—he is indeed watching Fang Xiao Rou in the time Han Jie is using it to read his message. A set of pictures of Fang Xiao Rou by a seafood stall is sent to him. Accompanying these pictures, he writes: Your Xiao Rou is extremely cute. I’ve already begun liking her! These latest pictures has Han Jie stop looking at his phone and heads to Fang Xiao Rou’s side. He doesn’t say anything about the disturbing photos he has received and quietly stands behind Fang Xiao Rou, appearing normal. 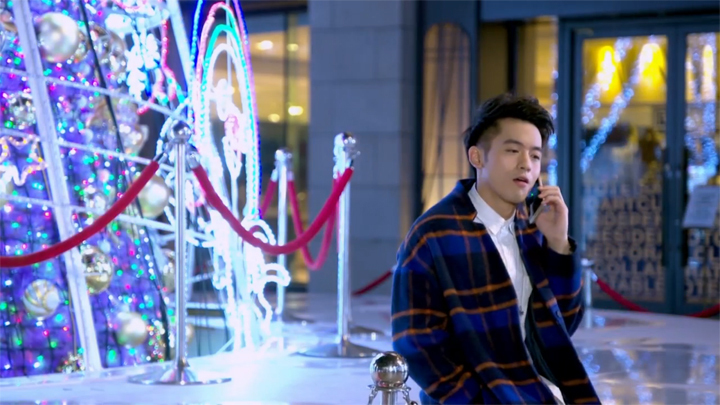 A casual look left has Han Jie catch sight of a male in black hoodie and light-coloured pants holding his phone up and pointing at him and Fang Xiao Rou. The individual bolts when he catches Han Jie’s gaze in his direction. Not expecting to spot the individual before him, Han Jie is slow to leap into action. It takes a bit of time to register he had just made contact with the suspicious individual before he quickly tells Fang Xiao Rou to wait at the place is standing, that he will be back, before going in pursuit of the individual. The pursuit goes through a short stretch in the seafood market and out in an open area amongst large buildings before the pursuit ends at a closed off space of gravel, trees and mesh fencing. Han Jie takes a moment to catch his breath before he squares his eyes on the individual. A corner of his lips lift. "As I expected. It is you." 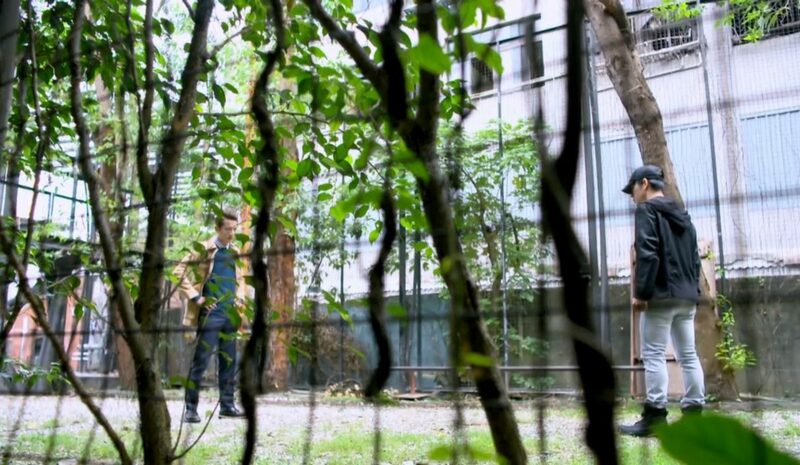 Han Jie says standing akimbo as he continues to stare down the male individual he’s trapped before him. The selection process to find eight students to enter training for the national high school cooking competition begins. 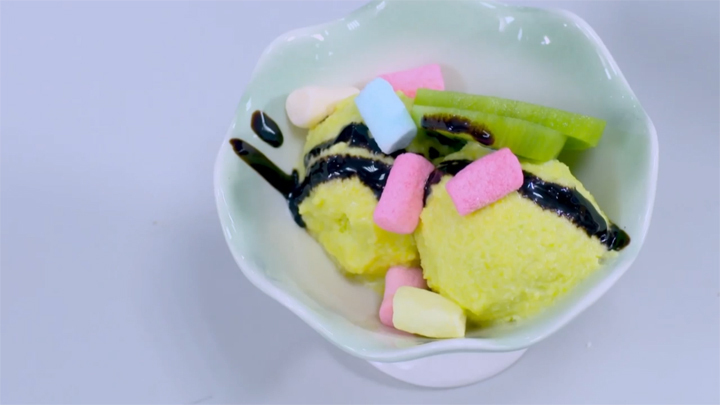 With a marshmallow avocado yoghurt ice cream named, Charm, Wang Mai Zhi makes it through to the next round. With a kiwifruit whole wheat cake, Wei Qi Zhen also makes it through. The six others joining Wang Mai Zhi and Wei Qi Zhen are Liu Xuan, Ma Chong Sheng, Chen Meng Chen, Tang Xiao Niu, Kong Meng Zhe and Amy Fan. 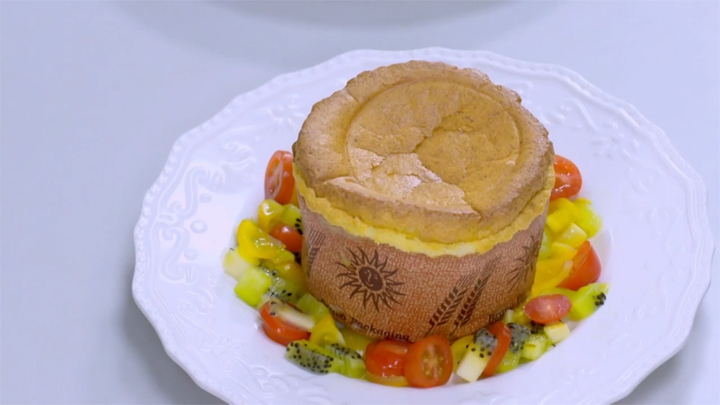 The dishes that Wang Mai Zhi and Wei Qi Zhen presents at the first round of selections are a representation of each of their person. Wang Mai Zhi’s Charm is described as attractive to girls. Girls are attracted to ice cream. However, ice cream is considered junk food. The avocado that Wang Mai Zhi uses for the ice cream has high nutritional value and turns the ice cream into a healthy food. The marshmallow is explained to be his creativity. Wei Qi Zhen’s cake, Weirdo, is described as unusual. Blending the grains of the whole wheat flour and seeds of the kiwifruit into the honey and the flour, the cake has a sweet and sour taste. It is a cake that is different from other beautiful cakes. It is just like her. Wei Qi Zhen’s dish also exhibit elements that represent her and Wang Mai Zhi together. Wang Mai Zhi is the whole wheat flour: Mai Zhi, is Chinese for wheat. The kiwifruit is Wei Qi Zhen. The kiwi part of the word, kiwifruit, is unusual in Chinese—a synonym of the first part of the nickname, Weirdo Zhen, that Wang Mai Zhi uses to address Wei Qi Zhen. This fact is not revealed to Han Jie, Fang Xiao Rou or the other students at the presentation of the dishes in class. It is only revealed to Wang Mai Zhi after Wang Mai Zhi isn’t able to stop Wei Qi Zhen from leaving class with Kong Meng Zhe and it has him walking particularly briskly to catch up to Wei Qi Zhen walking down the school path in order to—what appears to be—keep his promise and give Wei Qi Zhen an autographed picture of himself for doing well. It is made known to Wang Mai Zhi when he wonders why Wei Qi Zhen used whole wheat flour and kiwifruit to make the cake after he eats the cake that fell to the floor from his poor bicycling skills that came from his desire to stop Kong Meng Zhe from reaching Wei Qi Zhen back at the school path. Wei Qi Zhen asks Wang Mai Zhi to guess and a casual guess has him getting it right. 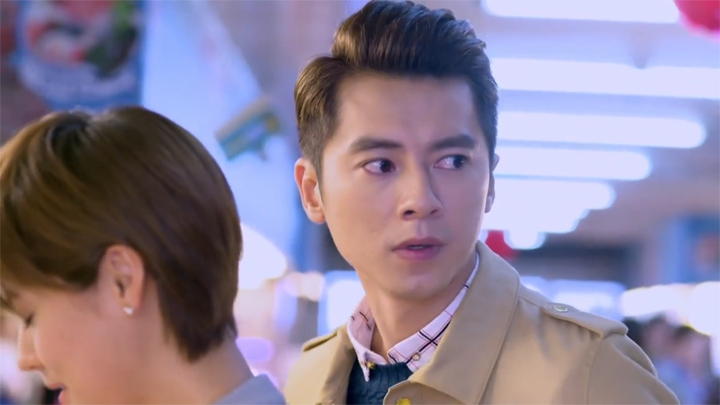 Wang Mai Zhi ends up scuttling off when the revelation of this fact leads to an uncomfortable moment with his casual comment of the cake being a confession of sorts and Wei Qi Zhen becomes silent. With Charm—Wang Mai Zhi’s dessert—Wei Qi Zhen is hinted as a possibility of being the inspiration. When Han Jie asks Wang Mai Zhi if the marshmallow that he included in the dish was simply a decorative element, Wang Mai Zhi negates this. He tells Han Jie the marshmallow is his creativity and the inspiration comes from two people: one is himself and the other is someone he isn’t able to say aloud. We can only guess it may represent the creative ways he’s been coming up with to meet up with Wei Qi Zhen so he and her can together be in the team representing Si Ping High School in the national high school cooking competition. Whether or not this is what is meant by the marshmallows in this dish of Wang Mai Zhi’s, we see Wang Mai Zhi actioning another evening meetup with Wei Qi Zhen for another practice session. This time it is at a luxury department store. They should meet up with both of them already on location waiting for the other around a large colorful Christmas tree display. However, it is a meetup that sees them having trouble meeting up. The call to Wei Qi Zhen that Wang Mai Zhi makes on location to ask how far she is from arriving has Wang Mai Zhi tell Wei Qi Zhen she must arrive within thirty minutes and no later. He continues on with an instruction for Wei Qi Zhen to dress up in a way that matches his cool style as the place they are meeting up at is a special place. This instruction from Wang Mai Zhi and having only thirty minutes to get back has Wei Qi Zhen leave in a panic to change out of the plain and regular outfit she came wearing. 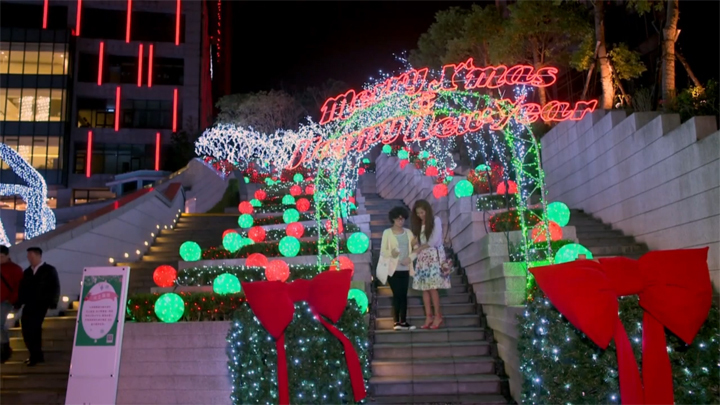 Fortunately, Wei Qi Zhen bumps into Jiang Pei Ying at a flight of steps some metres from the location and Jiang Pei Ying helps Wei Qi Zhen with this requirement Wang Mai Zhi has given her. Wei Qi Zhen arrives back to waiting outside the luxury department store beautiful and on time. She waits. And she waits for Wang Mai Zhi to arrive. The wait becomes much too long. 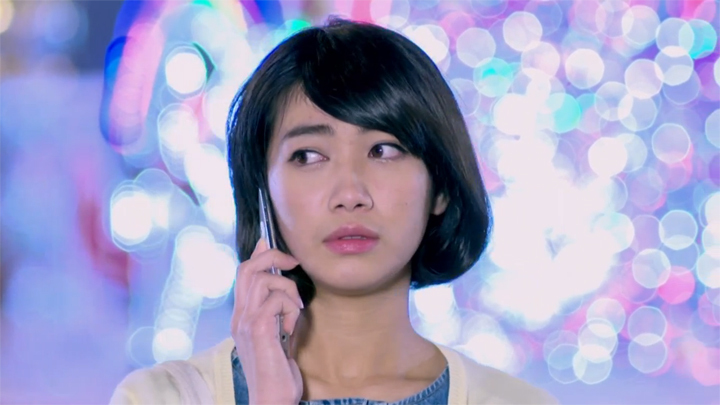 Wei Qi Zhen gives a call to Wang Mai Zhi. No answer. Wei Qi Zhen is still positive about the situation, though. "Wang Mai Zhi is purposely running late," she reasons. She did tell Wang Mai Zhi not to arrive too early and let her be the one to wait for him in the phone call earlier. "I believe he will definitely come." But Wang Mai Zhi may not be able to make it in time when he has to help Liu Xuan to the hospital. 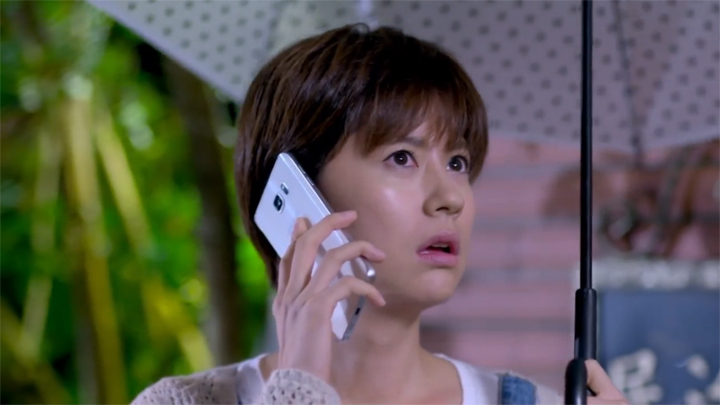 At the time when Wei Qi Zhen is expected to arrive, a call from Liu Xuan comes into Wang Mai Zhi’s phone, distressed and asking for his help. After telling Liu Xuan that she should probably call Ma Chong Sheng for help and Liu Xuan continues to ask him to come because she’s scared and gives him her location, Wang Mai Zhi goes to Liu Xuan. Liu Xuan’s location is at school in the school kitchen classroom. Her situation is: she is on the ground and unable to move with a foot trapped underneath a metal storage unit. Wang Mai Zhi helps Liu Xuan lift the storage unit off of her foot and carries her to head to the hospital. 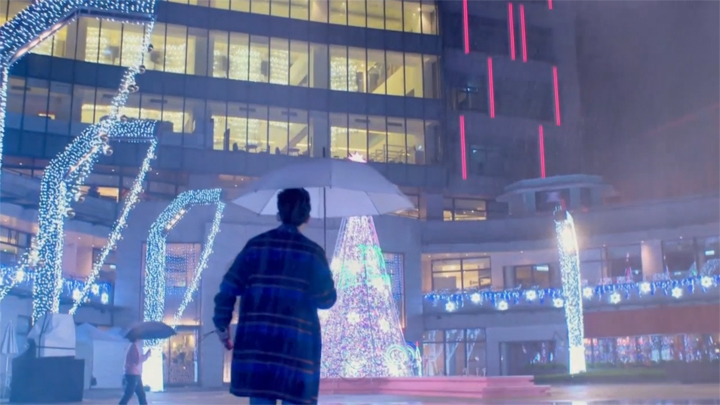 Wei Qi Zhen continues to wait even as it starts to rain and drenches her in it. Jiang Pei Ying comes back to check that Wei Qi Zhen isn’t waiting in such a weather. 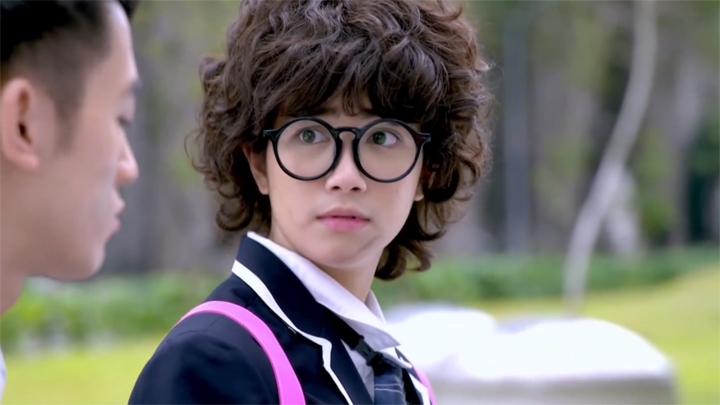 Jiang Pei Ying’s heart breaks when she finds Wei Qi Zhen is. She goes up to Wei Qi Zhen and asks if she was going to continue to foolishly wait for Wang Mai Zhi to arrive. “Wang Mai Zhi will be angry if he doesn’t see me,” Wei Qi Zhen defends her foolishness. “No. I’m angry,” Jiang Pei Ying says—a person who has no punctuality or a sense of time, why wait for such a person? Jiang Pei Ying then commands Wei Qi Zhen to leave and not wait for such a person. Wei Qi Zhen is reluctant to leave, but Jiang Pei Ying insists. 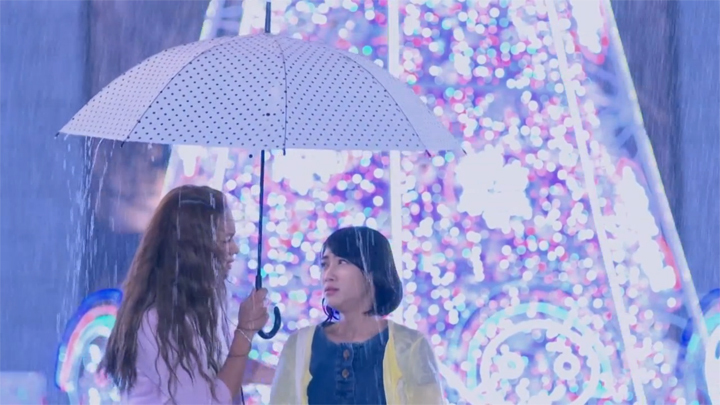 She brings Wei Qi Zhen closer to her and under her umbrella and makes her leave. Wang Mai Zhi does arrive back to the location. An umbrella in hand, he runs quickly up some stairs and asks himself when he annoyingly lost his phone. “Wei Qi Zhen shouldn’t still be waiting for me, right?” he asks as he reaches the top of the stairs. He reaches the open area surrounding the large Christmas tree display he had waited by. He searches. An elated smile spreads across his face. Wen Zhen Yu makes his resignation to the principal to head to Europe to try for the position of Executive Chef of Olives House. Jiang Pei Ying isn’t made aware of this until Li Zhi Chao informs her of this when he goes looking for Jiang Pei Ying to have lunch with her. Jiang Pei Ying appears before Wen Zhen Yu at the parking lot at the moment when Wen Zhen Yu begins to drive off. She puts herself in front of his car and calls him to get out of it through the windscreen. Wen Zhen Yu gets out of his car and hears angry words from Jiang Pei Ying: why are you taking it seriously? Take back your resignation. Wen Zhen Yu explains his decision to resign: the three Michelin star chef that she wanted him to achieve made him see that he has been too content with the status quo. It reminded him of the many areas he needed to make effort on. He wishes to have better cooking skills and have his skills recognised by the three Michelin stars that all chefs see as the greatest recognition of their abilities. Jiang Pei Ying is few of words during Wen Zhen Yu’s explanation. She had only asked why he must return back to Europe to improve himself. Wen Zhen Yu seems to see this display of care as a chance he has of moving Jiang Pei Ying’s heart in the future. "Seeing you being put in a difficult position because of me, I’m able to see things clearly now. Pei Ying, you are a great girl. I hope you are able to wait for me and allow me to one day be the one to make your heart flutter." Jiang Pei Ying doesn’t take well to these words from Wen Zhen Yu. She laughs and tells Wen Zhen Yu the lack of chance he has with this request of his: a woman’s youth is limited and heading to Europe will see him unable to have an ounce of a chance with her with a line of people that stretches from north to south of Taiwan looking to pursue her. She calls him stupid and an idiot. Wen Zhen Yu’s response to this is one that sees Jiang Pei Ying without a response and possibly one that brings her heart to flutter: "If there really is such a day, then I will give you my blessings." Wen Zhen Yu smiles then tells her he will be back before he heads back into his car. 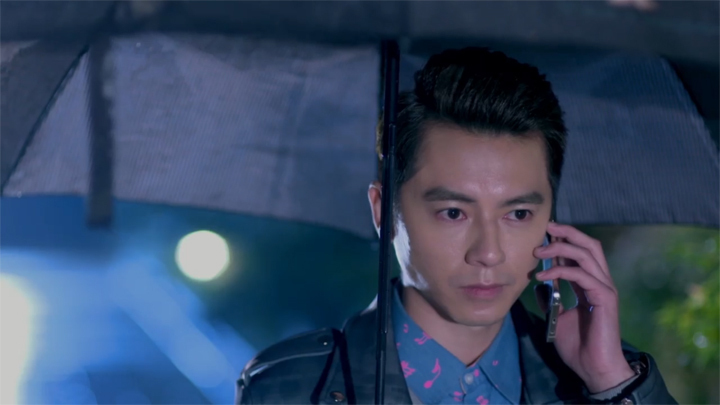 He leaves Jiang Pei Ying unsure whether to call him back or not. In the end, she watches him drive off with her hand clutching her heart and asking herself why she has an ache in her heart. That cliffhanger with Wang Mai Zhi running back was—Nooo!! Don’t end there! We were already looking at the time left in the episode when Wang Mai Zhi and Wei Qi Zhen’s part came on at the end section of the episode. And then that was the end! This is the first time in the series’ run we’re anxious for the next episode to air! It really ended off at a massively huge cliffhanger and on the pairing that has become like the leads over the last few episodes! We have actually begun calling Wang Mai Zhi and Wei Qi Zhen the leads. Han Jie and Fang Xiao Rou still feel like lead characters. They do still have situations that are just that much more weighty and situations are built around their characters. But, Wang Mai Zhi and Wei Qi Zhen are really more interesting! We love geek and chic and we’ll never get sick of it! We thank Liu Xuan for calling Wang Mai Zhi and getting him to help him for bringing such an exciting cliffhanger. She’s the one who made Wang Mai Zhi late. But it does make us wonder why Liu Xuan didn’t call Ma Chong Sheng. Maybe the reason Liu Xuan didn’t call Ma Chong Sheng is that she doesn’t want to trouble him because he has to work at his grandma’s noodle stall. He’s busy. Or, maybe it’s that Wang Mai Zhi does have the disposal of a car that can take her to the hospital, so maybe Liu Xuan thought of that. The writers should tell us! We’re a little curious. Hehe. We’re expecting Liu Xuan’s injury to feature in the next episode and come into play in the relationship between Wang Mai Zhi and Wei Qi Zhen. We’re expecting some great scenes where Wang Mai Zhi treads lightly around Wei Qi Zhen and tone down his arrogance. It would be a great to see Wang Mai Zhi slowly become more and more worried over disappointing Wei Qi Zhen! The part where Wang Mai Zhi thinks the kiwifruit whole wheat cake could possibly be a confession from Wei Qi Zhen—why did he leave? He already knows she likes him and we thought he would be happy she hasn’t stopped liking him. He’s been acting annoyed and all when he sees Kong Meng Zhe around Wei Qi Zhen, so we can’t see why he got scared off! :o/ :o/. Maybe he was actually happy to hear that she still likes him and his own happiness scared him. So happy on the inside that it scares him and he had to run? We’ll just believe that’s what it is. :oD :oD. The addition of the stalker has brought the Fang Xiao Rou and Han Jie relationship to an interesting situation. The stalker seems to be brought in to ruffle Han Jie’s confidence and currently peaceful and happy person. His target to do this is Fang Xiao Rou and he seems to be a strong rival for Han Jie. It also seems Han Jie is always second to him. The part where Fang Xiao Rou and Han Jie are at the seafood market and Han Jie tells Fang Xiao Rou that there are people he can’t beat after Fang Xiao Rou feels Han Jie to be unbeatable and without weaknesses makes us presume Han Jie is referring to this stalker guy. Though the stalker has brought the Fang Xiao Rou and Han Jie relationship to an interesting situation, it isn’t something we find to bring exciting drama and this pairing will continue to feel relatively uninteresting. Even if this guy is someone who has, in the past, been a great challenger to Han Jie in both love and profession, we would expect Fang Xiao Rou to shrink away based on her characterisation so far. With Fang Xiao Rou not having been developed as a character with a fickle heart who easily sways, is conservative like she had described herself to be (Episode 6), and not believing this stalker has the history she has with Han Jie, this stalker won’t feel like much of a threat. This guy seems to be another Chen Meng Chen: gives problems for the pair, but has not much impact or last. 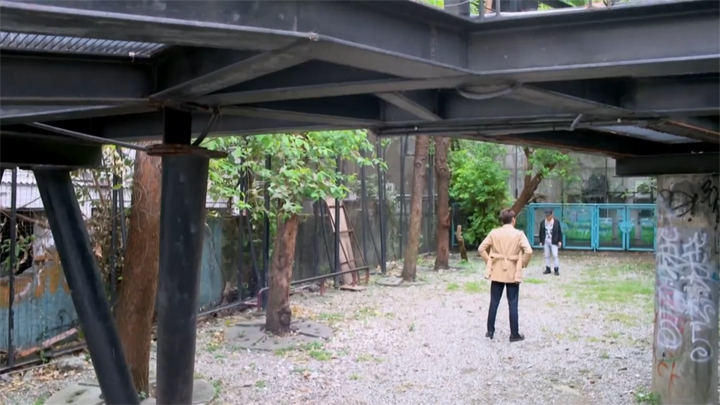 Unless this stalker is brought in to harm Fang Xiao Rou in a dangerous way—which we don’t see happening since Love Cuisine doesn’t have that sort of a style or feel to it—we just don’t see much excitement coming from this new development. This guy could get some jealousy out of Han Jie, though. We could possibly find this interesting since we’ve never actually seen Han Jie be anything but playful and confident before and after being a couple with Fang Xiao Rou. (Actually, apart from Han Jie being the student that Fang Xiao Rou hates which made him step down from some confidence and playfulness, he’s been pretty much a flawless character.) Also, Han Jie seems to really be worried about this guy. 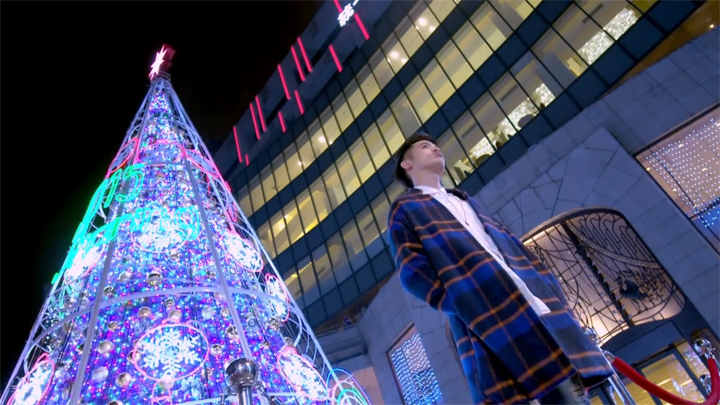 We found the library scene very curious—the one where Fang Xiao Rou enters and Han Jie immediately shuts his laptop in the same manner as someone very guilty of habouring a secret and trying to hide it. So, jealousy might come in and it could have the chance of being juicy, but it does depend on how it comes about and if it comes about. This guy also appears to have the possibility of being part of the national high school cooking competition. We’re hoping this guy won’t actually chase after Fang Xiao Rou. We hope he is simply a challenger in the national high school cooking competition than in the relationship plot. We really don’t want to see another love rival coming in and having very little impact in the relationship plot of Han Jie and Fang Xiao Rou that really has been feeling choppy and heading in and out of one problem after another. We’d much rather watch the guy be a challenger in the cooking competition. And then maybe him being in the cooking competition, it can then have a transferral affect on the relationship rather than direct affect. That would be much more interesting. 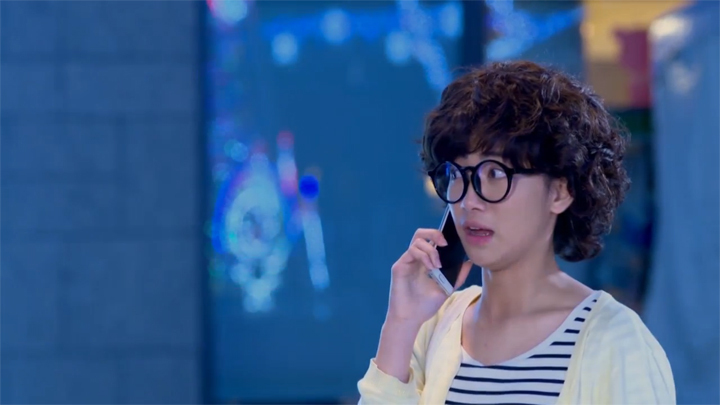 That scene where Fang Xiao Rou was on the phone with Han Jie as she was taking the trash out, it showed Han Jie at home. 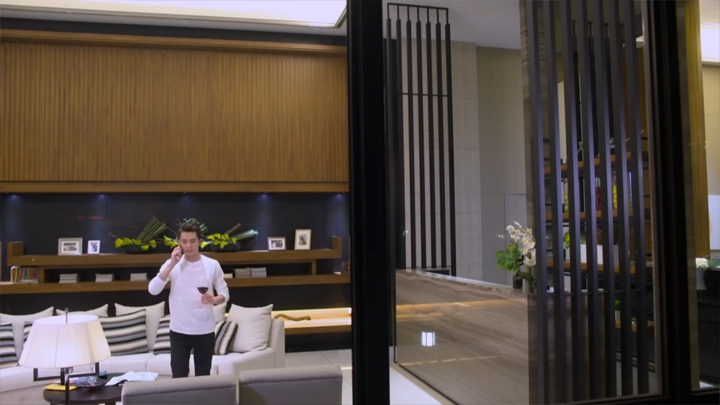 Not counting Han Jie’s room that we saw in last week’s episode, this is the first time we get to see Han Jie at his home! Awed! It’s so stylish—much more stylish than his room which was really down-to-earth. His room almost doesn’t look like it’s a room in the same house. But his room was huge just like the room that Han Jie was sitting and standing in! It looks like a foyer area of a five-star hotel! Is this the reason Han Jie had blindfolded Fang Xiao Rou when he guided her to his room in their date—seen in last week’s episode? It’s so that she doesn’t get scared off or shocked by how well-off he is, isn’t it?! Wen Zhen Yu: we can’t believe he actually left the school to try for the chance of becoming the Executive Chef of Olives House! But Wen Zhen Yu heading out of Si Ping High School and going to Europe to Olives House is better than continuing being in Si Ping doing whatever he has been doing. At least we know this character is in some place prestigious and he’s trying to better himself instead of being in a weird love triangle with odd and eccentric people. Wen Zhen Yu said he’ll be back, though. We feel he should come back since Jiang Pei Ying is now showing she has feelings for him, but maybe only after everything is perfect—after Han Jie, Fang Xiao Rou, the competition and Han Jie’s goal of setting up an Olives House in Taiwan is resolved, achieved and perfect. From the developments, it doesn’t feel like this character will show back up in the timeline of when the national high school cooking competition is happening. There’s no room for him. Then again, this series hasn’t been very predictable and sudden and unexpected things just happen (like the stalker showing up for the Han Jie and Fang Xiao Rou side of the story! ), so maybe he’ll suddenly pop right back in around when things are looking dire and he’s needed to take over. If this happens, we’ll be very happy since we’ve been wishing for Wen Zhen Yu to be useful in the series since the start of the series! We will now wait impatiently for the next episode to see what happens next with Wang Mai Zhi and Wei Qi Zhen. We can’t guess what will happen next especially with that ending where we see Wang Mai Zhi pleased! Why is he pleased? Is he pleased because he’s happy that this time Wei Qi Zhen decided not to wait for him? Or is it something else? Excited!! :oD :oD.